We now live in the age of smartwatches, where what was once a simple timepiece is now a mini computer and communication device on your wrist. Ideal for people on the go, especially fitness buffs, smartwatches are designed to give fitness readings like the rate of heartbeat, stride, pulse and so on. If you want a smartwatch, but don’t want to pay a sky-high price for dominating brands like Apple and Samsung, you can always go with a lesser known one. Prices can vary from around $10 to $50. The cheapest often have limited functionalities and life spans. There are some smartwatches that cost close to a $100 that offer pretty much the same features as big name brands like Apple, but without the crazy price tag. This is arguably one of the best budget smartwatches in the market. It’s simply designed to be suitable for everyday use such as going to work or jogging. It has a square watch face that is not too big or too small. The battery can last up to a week on a single charge with regular use. With heavy use, it can last 5 days. Recharging doesn’t take too much time. It pairs well with Bluetooth to access notifications, SMS messages, email, and apps. More importantly, there are loads of downloadable content from watch faces to apps. 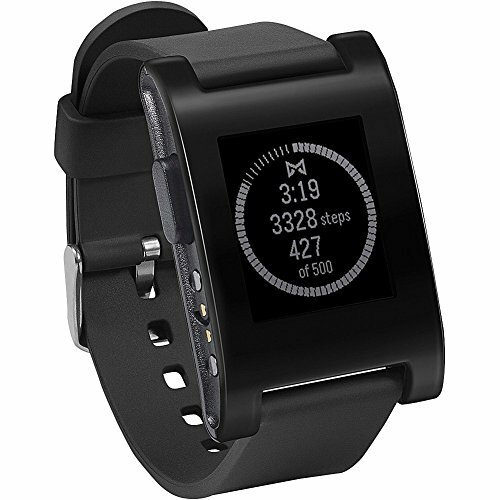 There are Pebble apps you can get to improve the efficiency of the smartwatch. Also, you can get popular apps like Spotify to stream music. The watch can control smartphone apps like music players. It’s also compatible with both Apple and Android devices. On the flip side, the watch is made from plastic, so it can break upon hard impact. Pebble is well-known in the smartwatch space so this model is easily one of the best smartwatches under $50. If you are looking for high functionality at a reasonable price, DZ09 might be what you are looking for. 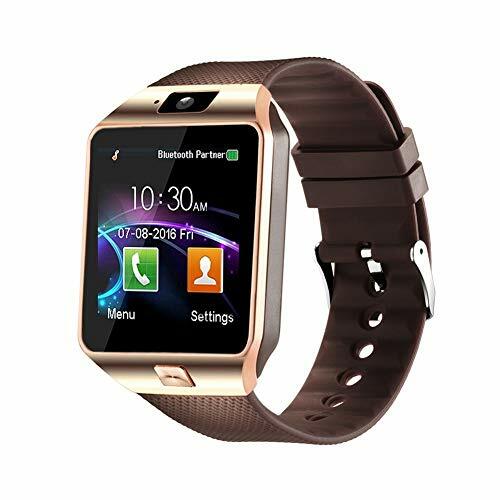 This smartwatch is available in a variety of colors with slightly different look. Though cheap, it’s surprisingly well built. It’s not as sturdy as some of the more expensive watches, but it’s durable enough to last a long time. 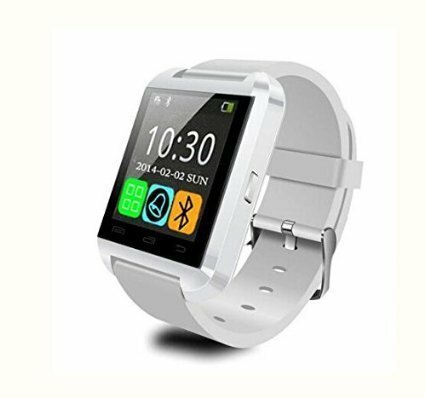 This watch has what’s called a “smart mode.” You can install a GSM 2G SIM card into the watch and start using it as a phone! You will be able to make phone calls directly using the smartwatch with a SIM card. You can reply to messages and even emails. Bluetooth enables you to connect to the phone without a SIM. You can take pictures, update apps, or listen to music stored on your smartphone. The smartwatch has a bunch of incredibly useful tools. It has a sound recorder, a calendar, calculator, and a web browser. There’s a tiny camera in the watch with 0.3MP. It’s not much but you can take quick selfies. You will get a range of fitness features. There’s a sleep monitor and a pedometer. The features are plenty. So far, the main downside is the battery life. The company says the battery can last 24 hours. But don’t be surprised if it goes off in less than 8. LEMFO is a very stylish smartwatch which can be purchased for a surprisingly good price. This is an original Breitling limited edition watch. It’s compatible with iPhones and Androids both. It works quite with Samsung early Note series phones. However, it may not work with Windows phones. The watch syncs with Nokia phones via Bluetooth. This smartwatch isn’t too fancy, but it comes with a number of features that we liked. It’s packed with useful functions like sleep, monitor app, power save mode, long-distance photo capture, pedometer and rest mode. The touchscreen was significantly large and very sensitive. The sensitivity is useful when you are engaged in something like cycling so there’s no fumbling to access anything. However, there’s a downside to the extra sensitivity too. When the user is simply walking or sitting, the watch can sometimes get activated by even accidental brush-ups. We particularly liked the battery, which lasted 8 hours in full working mode for us. With power save, we managed to extend battery life to close to half a day. This smartwatch is surprisingly affordable and is packed with multifunctional features. It’s Bluetooth-enabled and has many Bluetooth-powered features like notifications, message alerts, remote capture, sleep monitor, and an anti-lost feature. The large screen is very user-friendly and information can be picked up with just a glance. The Wzpiss has two working modes: Bluetooth and Network, to use a SIM card to make phone calls. This smartwatch is broadly compatible with both Android devices. It works well with older Android phones, but not so well is newer iOS models. 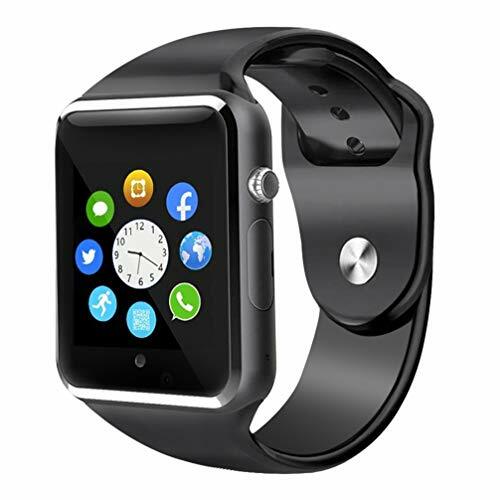 While the smartwatch is fully compatible with Android devices, not all features are available on iOS devices. The watch is only partially compatible with iPhone 7 and up. It comes with an adjustable watch strap of considerable length to match any wrist size. The Wzpiss is powered by a considerable 500mAH lithium battery, which can last up to two days on a single charge. The package includes a USB cable. Plus, the watch is supported by a lifetime warranty from the manufacturer. This smartwatch is slim and slickly built. And that’s only the beginning of the features you can get for a surprisingly low price tag. Install a GSM 2G/2.5G inside and this would convert into a phone. You can do all the basic functions a phone does, such as making phone calls and sending text messages. You can get smartphone functions by using a TF card. With this card, you can access a web browser and apps like Facebook. You can connect this smartwatch to your smartphone using Bluetooth. You can access photos, music, and some apps on your smartphone via the watch now. You can alternatively use the smartwatch as a fitness tracker, too. It has a pedometer, a sedentary reminder, and a sleep monitor. You get a sound recorder and a calculator. There’s a small camera inside to take basic pictures. This smartwatch comes with a lifetime warranty. If anything breaks, the manufacturer would happily replace it. The only downside is an incompatibility with most iPhones. You might be able to use this with iPhone 5, but not with others, especially the latest ones. Make sure the product comes with a warranty. 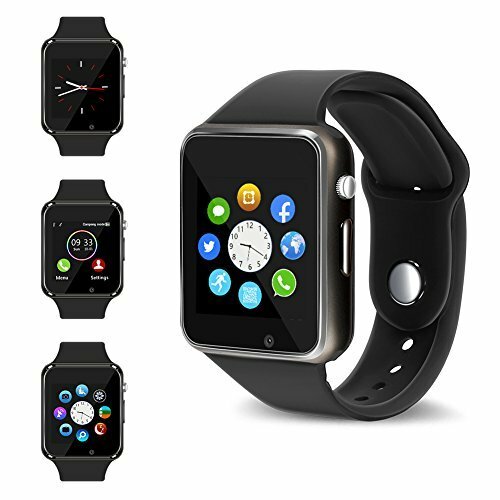 Only purchase extremely cheap smartwatches (less than $30) without a warranty. Most cheap smartwatches run into battery problems. If this happens to you, try to replace the battery without throwing away the watch. Non-Apple smartwatches rarely work well with Apple-made handheld devices. Functionality could be severely limited. So, when you buy, ask the seller about how compatible the device is with Apple products. Read online reviews regarding this as well. Be aware of downloading too many APK files. The smartwatch should support high-rated apps from the Google Play or the Apple store. You should not entirely rely on downloading APK files from random sites on the internet. Pay attention to the design of the smartwatch, too. Make sure the band fits you comfortably. Try to get an idea of how big the watch face is. It tends to be usually big for many low-cost smartwatches. Buy a smartwatch that is water resistant. This should protect it from sweat and water it comes into contact with during activities like hand washing.